This Allison ring has a few customized changes per the customer’s request. Each prong has a 2mm Diamond flush set and we squared the shank to keep the ring from turning. 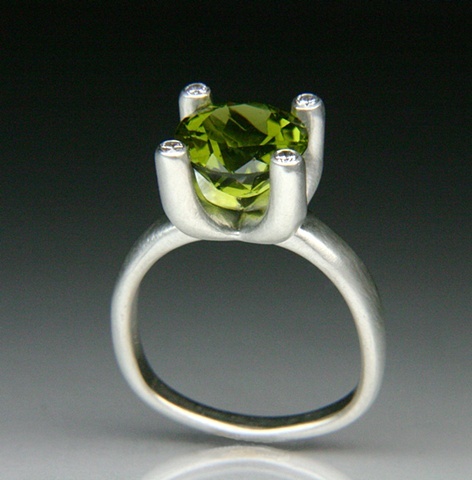 The center stone is a 10mm round Peridot. This piece is sold. Please feel free to contact me about make one like this for you or a custom variation.